It may take several visits to complete the full culinary experience that Surabaya has to offer. From chicken satay to chicken penyet, Surabaya has a diverse selection of food that is not only delicious, but will not break the bank. Before you fall into a food coma, be sure to try these 6 best Surabaya restaurants & food that will certainly have you coming back for more! 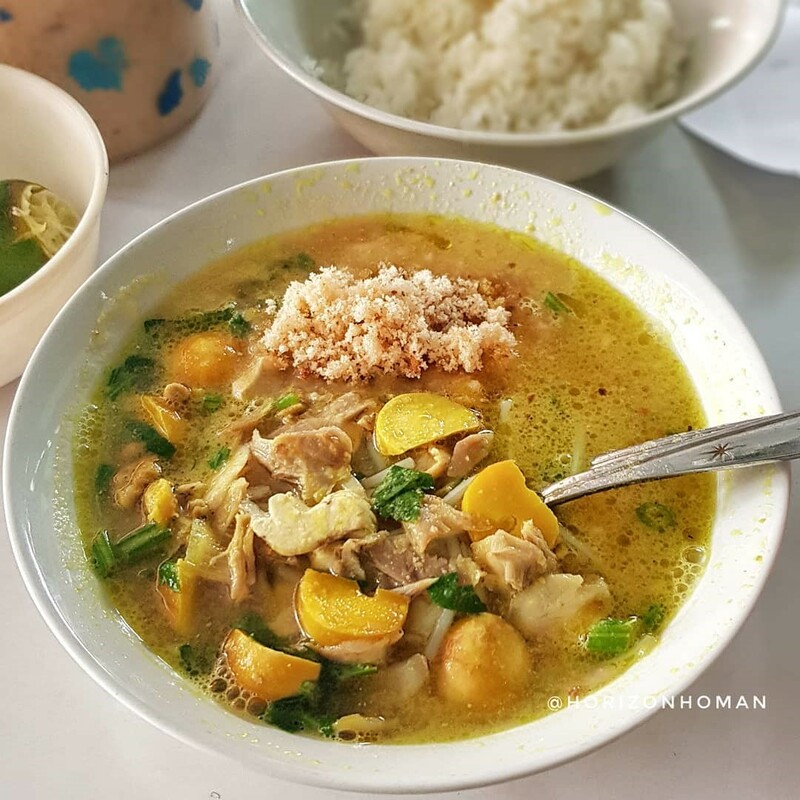 If you’re looking for a filling meal that’s authentically Indonesian, head to Nasi Empal Pengampon that serves its signature rice dish of the same name, shrimp rice, chicken porridge and other delicious local food. 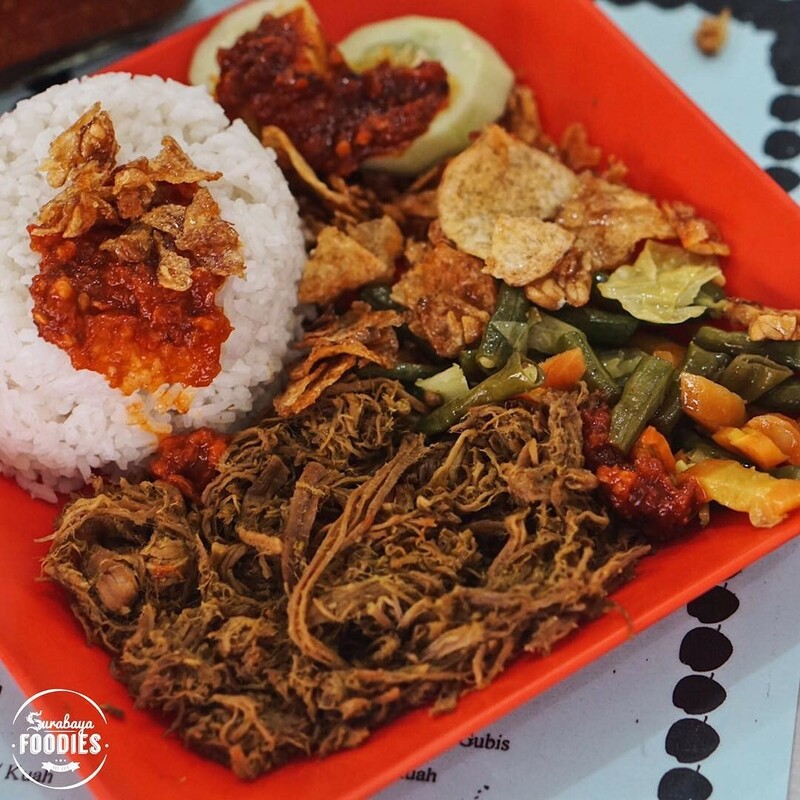 A portion of empal pengampon rice comes with rice, dried tempeh (soybeans in cake form), long beans, empal meat, which is sweet and spicy fried beef, and a local’s favourite spicy condiment, sambal. The highlight of the meal is the meat which is cooked till tender and brilliantly complements the savoury taste of the rest of the ingredients. While some dishes like sate, soto and rawon cannot be called ‘local’ Surabaya food as they are also served elsewhere, this nasi empal is one unique Surabaya food served by a good ol’ Surabaya restaurant. 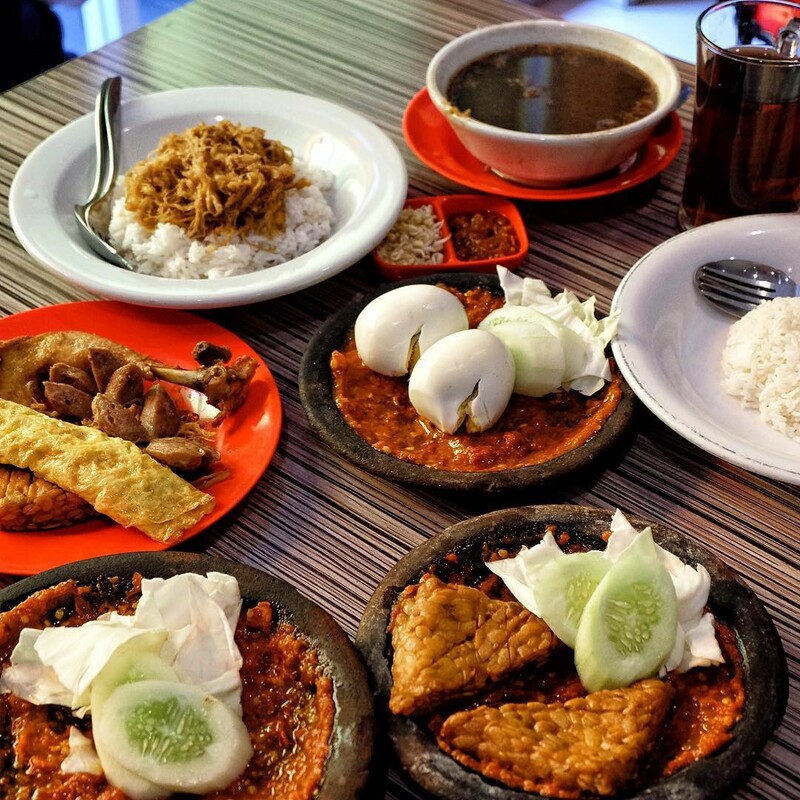 Located in a small alley in downtown Surabaya, don’t expect a fancy restaurant, but the good taste of its food will make your trip to Nasi Empal Pengampon totally worthwhile. Best to avoid the lunch crowd, but service is known to be rather fast – it’s no wonder that this eatery sees many patrons who come back for seconds! 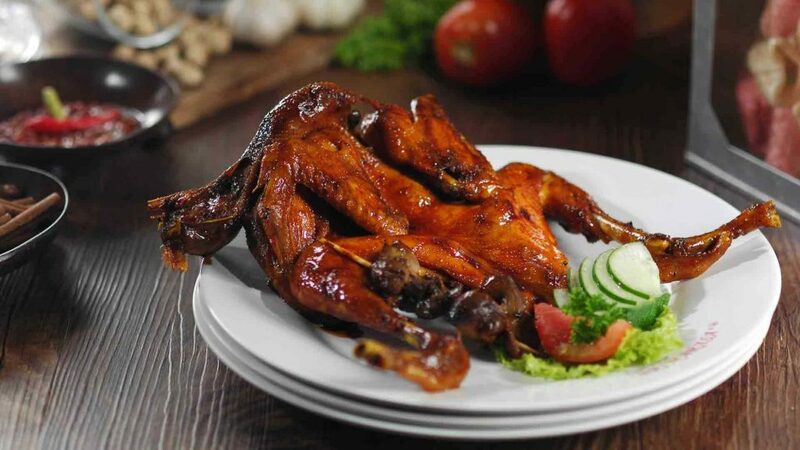 A favourite with the locals, Primarasa restaurant serves up a delectable ayam bakar, or charcoal-grilled chicken, that is a must-try Indonesian dish. Cooked with soy sauce and spices, the chicken ends up succulent and a perfect combination of sweet and savoury. Top it off with a side of vegetables and rice to balance your meal. 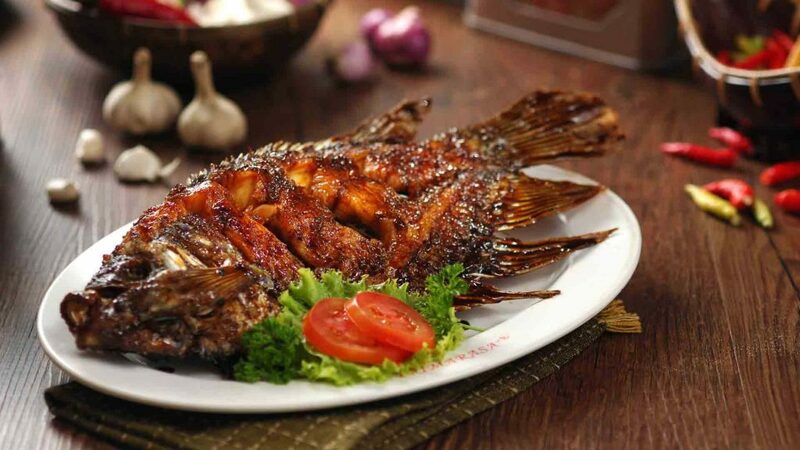 If you prefer seafood, try the Gurami Bakar instead. This enticing dish of gourami fish contains the same classic taste of Primarasa that patrons love. What’s more, the restaurant is air-conditioned and clean, the prices of the food are reasonable, and it’s located right in the culinary street of Surabaya! This is undoubtedly one of the best Surabaya restaurants serving local cuisine. Did you know that this famous satay joint has made their way to the State Palace? The iconic taste of the satay from Lisidu is said to be a favourite of the Indonesian president. With satay that’s fit for a president, what’s exactly makes their chicken satay so special? At first look, you’ll notice the flattened meat on the satay stick. 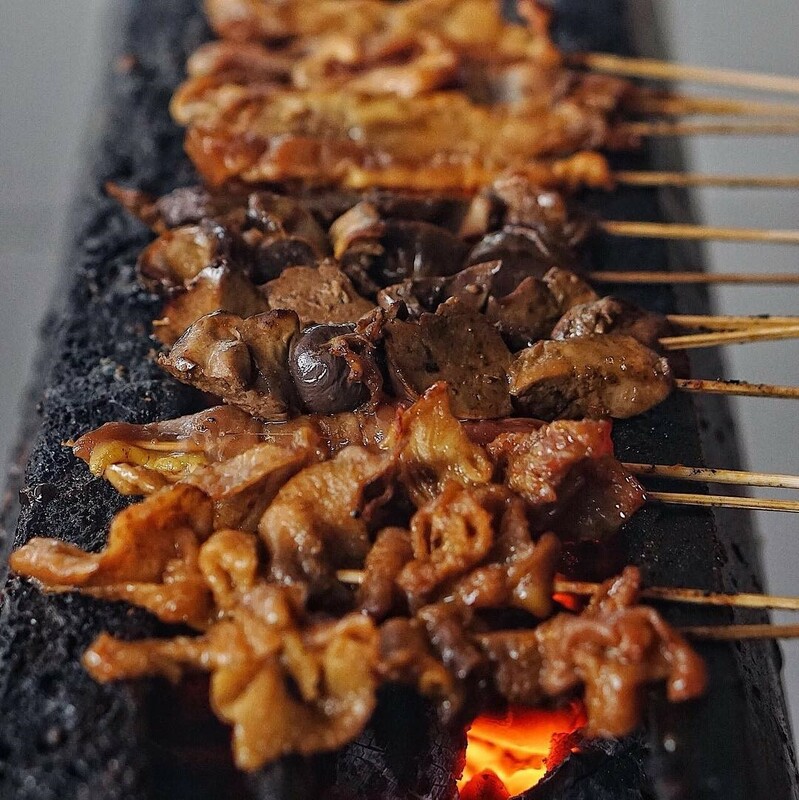 While most satays are rounded, Lisidu’s recipe allows the thin slice of meat to be cooked first before it’s grilled in order for the seasonings to thoroughly seep in. Established in 1997, you’ll be hard-pressed to find a better-tasting satay restaurant in Surabaya. 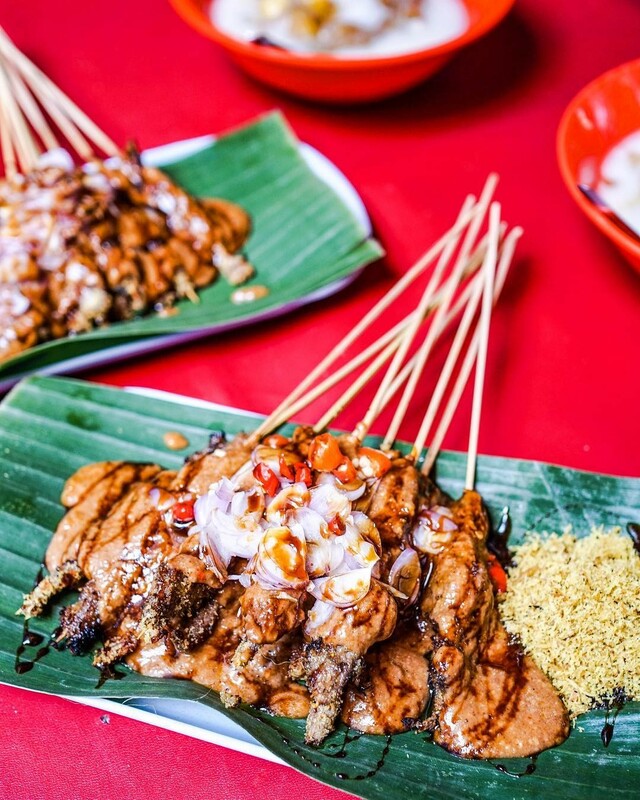 Accompanied with delicious peanut sauce, Lisidu is definitely a stop you’ll have to make to have a taste of traditional Indonesian satay. 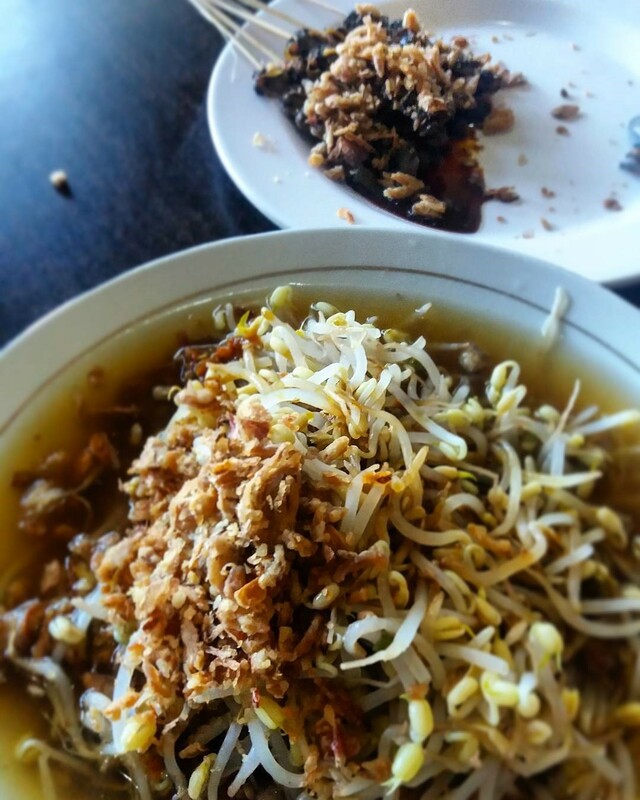 A classic Indonesian food you must try when you are in Surabaya! While Soto is normally sold in food tents or carts, you’ll be surprised by the size of this soto establishment. 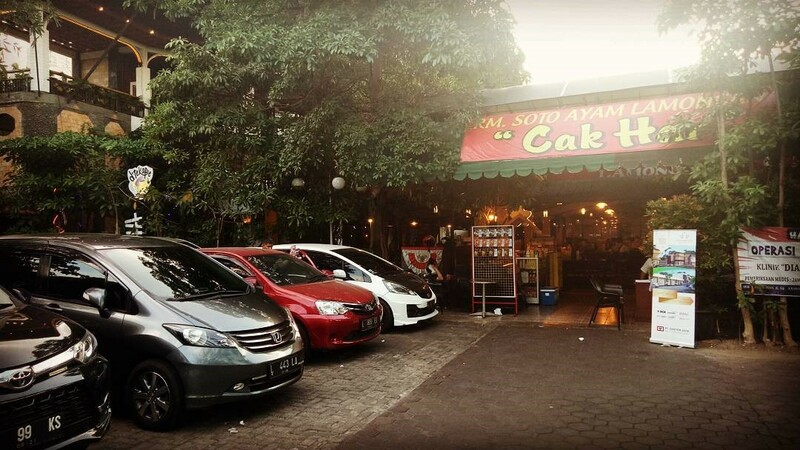 If you’re lucky enough to find a seat at this popular eatery, the taste and aroma of a bowl of soto ayam will amaze you. The portion is huge with generous portions of chicken meat doused in a creamy broth that is surprisingly light to the tongue. Costing 20,000Rp for a portion, Soto Cak Har signature and only dish is value-for-money and best eaten with koya, a savoury powder made from shrimp. 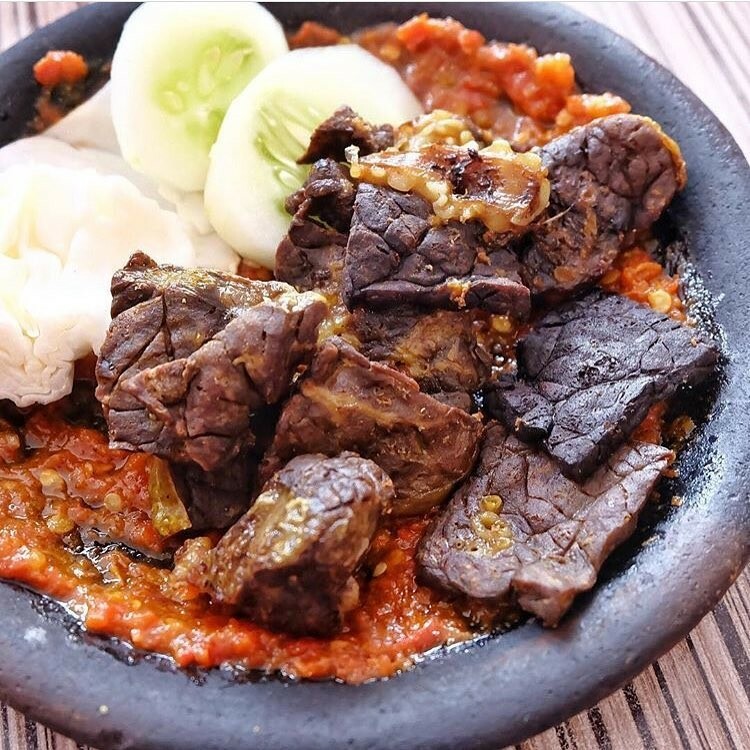 With outlets in all over Indonesia including Jakarta and Malang, Warung Bu Kris is a well-known Indonesian and one of the best-selling Surabaya restaurants that serves a variety of penyet in its menu – ayam (chicken) penyet, iga (fried beef ribs) penyet – they have it all. Penyet, which means to press or squeeze, is a method of smashing meat against a mortar filled with spicy sambal. Warung Bu Kris offers different levels of spiciness for its sambal that can go from mild to spiciness that breaks a sweat. Try their duck or catfish penyet that comes crisy but not dry – you’ll love it! 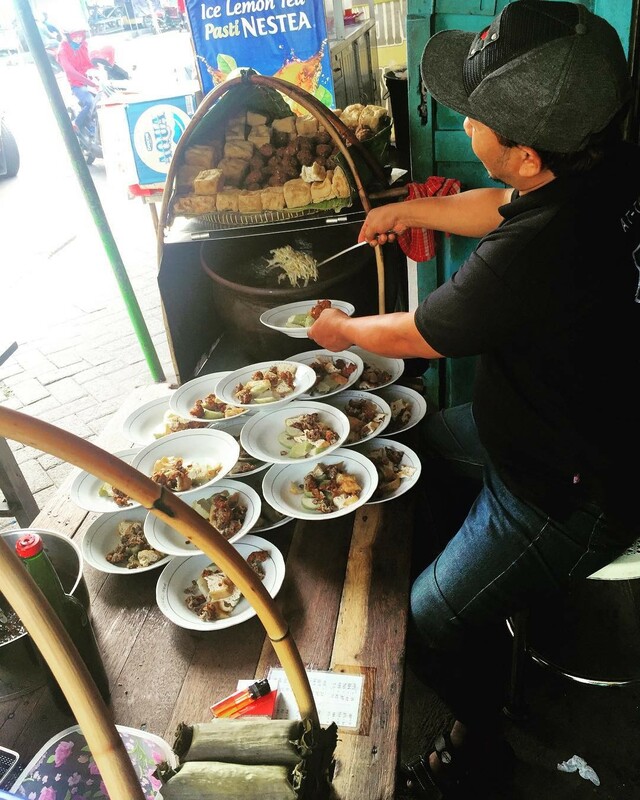 A typical and well-loved food amongst Surabaya locals, lontong balap is a dish consisting of lontong (compressed rice cake) drenched in gravy with bean sprouts, tofu and lentho, and often seasoned with fried onions and soy sauce. Established in the 50s, this long-running business is usually crowded but don’t let that deter you from visiting this simple eatery that’s tucked along a row of shops. 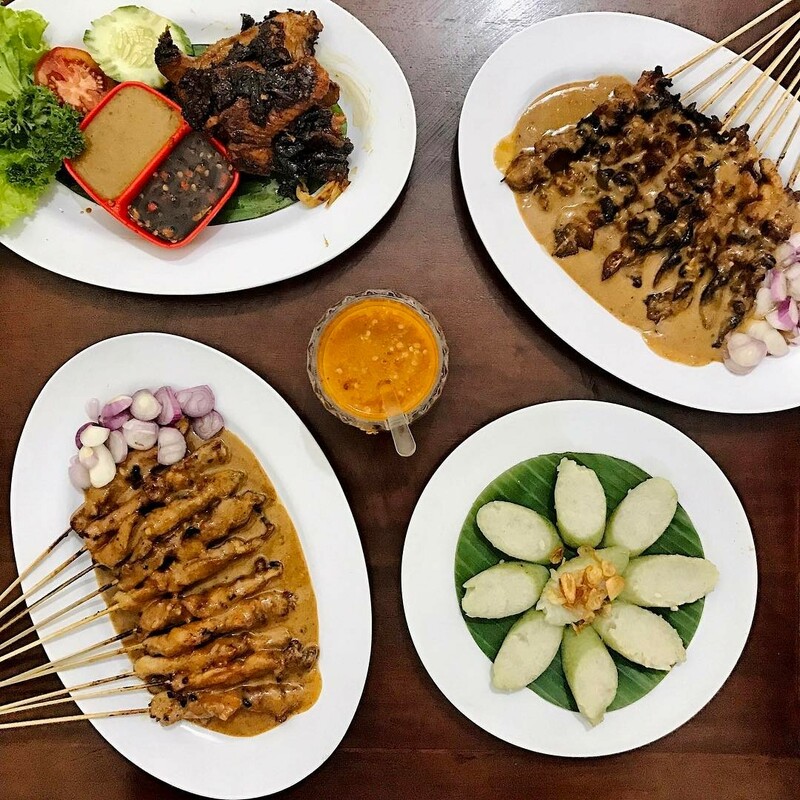 Their lontong balap is a must-try, and so is their sate kerang – a plate of tasty cockle satay is great as a side dish to accompany the lontong balap. Although the restaurant is not a luxurious eating place, what they serve is definitely authentic Surabaya food fit for a king.